The first annual International Epilepsy Awareness Day was yesterday but here at RobertsSister.com we are going to continue spreading awareness and education about epilepsy whether it is an official day, week or month. I am pleased to bring you the story of Josh. Josh’s story, as told by his mom Laura Caldicott, is eerily similar to Robert’s. Josh is only 11 but the beginning of his epilepsy journey is very similar to what I remember about Robert’s. Laura also includes additional information she wrote about epilepsy via a link in her story. Thank you, Laura for sharing your family’s story with us! If anyone else is interested in sharing your story about epilepsy, please leave a comment below. Being a parent is the toughest job there is, but when your child has a lifelong medical condition it can get a whole lot harder. I have found this out for myself since my son Josh, now 11, was diagnosed with epilepsy four years ago. Ever since I can remember, I felt that something wasn't quite right with Josh but the symptoms he displayed never prompted me to consider epilepsy – a neurological disorder where intense electrical activity in the brain disrupts the body’s sensory functions. Dealing with the diagnosis has been tough for our family. This is our story. As a baby I noticed Josh would sometimes flutter his eyelids and make involuntary jerking actions with his legs. As he grew older these symptoms would occur more often – particularly when he was overtired – and sometimes were accompanied by brief periods of 'zoning out'. Still, I put it down to his age and wasn't worried. But soon after starting school his teachers picked up on it and advised me to seek advice from a pediatrician, initially believing there could be a possibility of cognitive issues or learning difficulties. I booked an appointment immediately and talked through Josh's symptoms. At this stage epilepsy wasn't mentioned but the doctor did ask me to take a short video of Josh's next 'zone out'. So I did and we went back. It was then the doctor referred us to a neurologist where EEG and blood tests were carried out. When the diagnosis of epilepsy came back I was stunned. Like many other people I associated the condition with tonic-clonic seizures – collapsing, shaking, convulsing. Josh just lost concentration for a little while, how could that be epilepsy? The doctor explained that the condition varies in terms of severity and that as Josh's brain matures he could indeed suffer some of these 'traditional' seizures. He asked if Josh had ever suffered a severe head injury or a brain infection such as meningitis. He hadn't but I had gone through a traumatic labor and he may have suffered a slight brain injury then. I guess we'll never know. Back home we had to start adjusting to life with epilepsy. At seven years old, Josh was a little young to fully understand, but he knew he now had to take medication regularly and his TV/computer time was cut as we soon recognized this (as well as tiredness) to be a major trigger in inducing his seizures. One of the toughest things was that Josh was a keen swimmer and dreamed of learning to scuba dive. For a while I was terrified to let him in the water for fear of him suffering a full scale seizure and the prospect of scuba diving had to be ruled out altogether as a seizure underwater could be fatal. This upset Josh more than anything and the phrases 'it's not fair' and 'why me' were used a lot in the first year following diagnosis. Josh is now 11 and is very responsible regarding his condition. He is accepting of the things he can't do and takes his medicine ritually. Despite this, however, the doctors were right and he has suffered two tonic-clonic seizures since diagnosis. It is a terrible thing for any parent to witness as you are completely powerless to stop it but I'm just glad that we had the epilepsy diagnosis before they happened otherwise it would have been too frightening to imagine. Also, we were prepared. We knew what to do which involved making him as comfortable as possible without moving him, supporting his head and removing anything dangerous from nearby that he could hurt himself on. Then we just have to wait for it to pass. It's something I pray I won't have to see again but sadly I fear that I will. To any parent of a child with epilepsy, I know how tough it is and I urge you to stick with the medication, do your research and stay positive both for yourself and your child. With the right treatment epilepsy is manageable, if not curable so keep that in mind and work towards maintaining a happy, healthy lifestyle for your family. Robert is participating in the awareness initiative of the Epilepsy Awareness Squad who is partnering with IBE this year. Robert posed for the photo included here for them and they will share his photo along with many others who have epilepsy. Regular readers know that Robert has a generally positive attitude but can be cranky depending on his medications, if he’s under the weather or having a not-so-super Super Bowl game. In spite of all this, Robert will – without fail – describe his situation as “excellent.” I have a hard time grasping this “everything is excellent” attitude but think Robert really does believe everything is excellent. That is the “Magic of Excellent” and my inspiration for this video. Thank you for watching and please share with the hashtag #epilepsyday if possible. Wishing everyone a lifetime of excellent and magic. Robert’s neurologist convinced me to increase his Trileptal in order to stop the seizure clusters. He is now at the same dose he was last year when I had to make the difficult decision to pull him off of it. Yes, it almost completely stops the seizures but the price is Robert’s “excellent” goes out the window with it. It was heartbreaking to choose between the two yet I decided to give it another shot because of the change in Robert’s seizure pattern. Robert’s seizure clusters have been horrific: dozens in a day will strike without warning. There is no consistent trigger, nothing. The neurologist had told us to increase his emergency medication (Ativan/Lorazepam) which has helped stop the clusters once they start. However, this doesn’t help them from starting. The long-range plan is to consider him for the NeuroPace device (that review process is starting this month) but he needs a more immediate solution for the seizures. At the most recent neurology appointment, we discussed different meds that Robert has not tried (there are only a few left to try). I am hesitant to try new meds because of the awful side-effects associated with each and every one of them. We settled on increasing his Trileptal since it does bring some success. I insisted the reason we changed the dosage last year was because of his awful mood swings and temperament while he is on it. The neurologist said the medication should not have any effect on Robert's mood. The low dose he continued on seemed to help a little with the seizures without affecting his mood. We kept him on this dose until the seizures changed and he started having clusters of four, five then dozens. Obviously, something had to be done. We increased the evening dose and I watched to see if Robert’s excellent attitude disappeared. He seemed okay. Sometimes he would get cranky but not enough to warrant reducing the dose. I reluctantly agreed to increase the morning dose as well. The neurologist said the Trileptal should not affect mood. The side-effects of Trileptal do not list mood changes as a potential problem. He is on a very mild dose of it. We discussed the possibility of other things going on last year that caused his crankiness and loss of mobility. He now has a Parkinsonism diagnosis so maybe that was already working on him. His mood should not be affected by the Trileptal. It has only been two weeks since we increased the morning dose but I have already seen an uptick in his crankiness, moodiness and ability to cooperate. His mobility takes a hit as well (his walking becomes even less steady than normal) and his risk of falling increases. Today was the worst he’s been. I saw it coming too which put me on pins and needles this weekend. Robert is sometimes excessively giddy. He laughs at everything, jokes incessantly (as if his brain is in a loop) and is in hyper-speed to eat, dress and walk. He even gets a little shaky in his voice and his body. I don’t like giddy. I know it means he either has a cluster of seizures coming or a long seizure about to strike. Robert was Giddy with a capital “G” this entire weekend. What’s odd is the seizures didn’t come but his mood swing sure did. By Sunday afternoon, he was not cooperative; he was argumentative with me and Richard and he was easily upset with the puppy. We watched the Super Bowl together and had nachos and veggies with dip and fruit and all kinds of snacks which Robert ate in his recliner (the television is in the room with the recliner). The game was on and the dogs were milling about, sniffing all the glorious smells (of course). Robert didn’t like any loud noises we made (so much for cheering at the game or booing the commercials) and he certainly didn’t like Taz sniffing his food or hanging around his feet. He yelled, swatted and kicked at Taz numerous times. Richard and I both tried different tactics (let’s move to the dining room table; let’s keep Taz out of his way; let’s stop eating so much food), only to lose our patience at various times of the day. It was no Super Bowl brawl but it was not pretty. I told Robert he needed to change his behavior because it was not good. Every time I said that Robert would apologize. Then it would happen all over again. 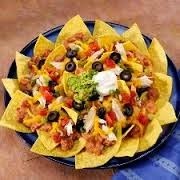 It was an endless loop of hostility mixed with the mound of nachos sitting in my stomach. I made Robert go to bed early (as early as I could, considering his bedtime is already 8:00 p.m.). Because we kept stopping the game to deal with the behavior, the game ended at 7:30ish for us. While Robert was making one last stop in the bathroom, I went to his medication containers and reduced the Trileptal morning dose to what it was two weeks ago. Now I wonder if the price of the return of “excellent” will be more seizure clusters. I don’t know what is worse: seeing Robert lose his excellent or seeing Robert lose himself to seizures. It’s a ridiculously difficult and heartbreaking dilemma.